The European Commission warned today that a no-deal Brexit is “increasingly likely”. The Commission said a no-deal scenario would mean the immediate application of rules and tariffs at the UK border by the EU. Chinese President Xi Jinping arrived in Paris Monday morning for the French leg of his European tour. The Chinese president is hoping to gain support for his Belt and Road Initiative, a plan designed to connect Europe, Asia and Africa through infrastructure and investment. The EU has warned member states to proceed with caution amid concerns that China’s global influence will grow too strong and potentially undermine European interests. Despite calls for the EU to act as a united front, Italy became the first G7 country to sign the infrastructure agreement on Saturday. The European Parliament will hold a final vote on the controversial copyright directive on Tuesday. The directive would overhaul current copyright laws, requiring tech giants to sign licensing agreements with content creators to share their work. 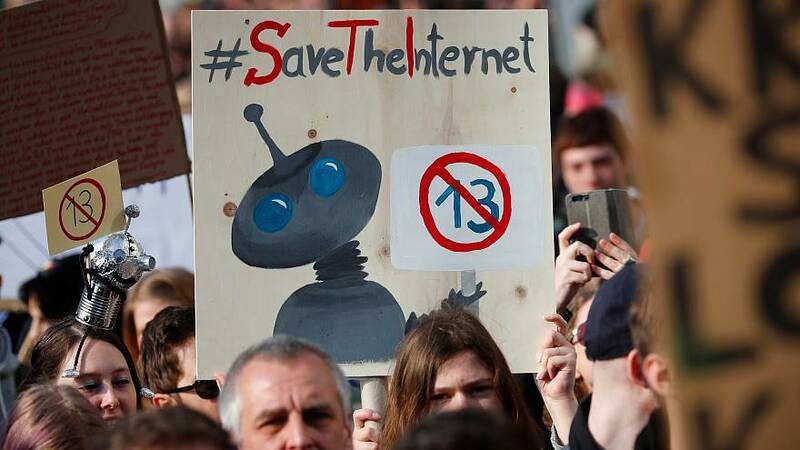 “Save the internet” protests were held across Europe last weekend in anticipation of the vote. Critics say the legislation’s copyright filters are a threat to freedom of expression.